Thomas A. Zimpfer, 55, 14955 Amsterdam Road, Anna, Ohio died in the emergency room at Wilson Memorial Hospital on Monday, September 4, 2006 at 5:30 PM. He was born February 4, 1951 in Sidney, Ohio the son of George and June (Bodenmiller) Zimpfer of Anna, Ohio. He was married to Theresa Platfoot on April 8, 1972 and she also survives along with three children, Tonya Huelskamp and husband Chad of Anna, Ohio; Ted and wife Molly (Wyen) Zimpfer of Anna, Ohio and Tim and wife Raci (Mullett) Zimpfer and eight grandchildren, Carter, Macey, Riley, Hayden, Tyler, Amber, Troy, and Aven and one sister Janet Siegel and husband Ronnie of Ft. Loramie, Ohio. 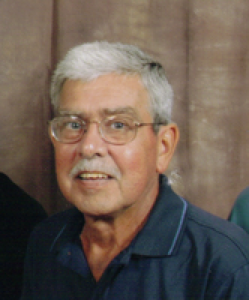 He was a 1969 graduate of Anna High School and served as a trustee for Dinsmore Township for five years, Shelby County Commissioner for two terms for a total of eight years and also zoning officer for Franklin Township and a member of the Anna FFA alumni and Anna Young Farmers. He enjoyed boating and his grandchildren. He was a member of the St. Lawrence Catholic Church in Rhine, Ohio. He was a farmer. A Mass of Christian Burial will be held on Friday, September 8, 2006 at 10:30 AM at Immaculate Conception Catholic Church in Botkins, Ohio with Rev. Patrick Sloneker. Burial will be at Loramie Valley Cemetery, Botkins, Ohio. Friends may call at Salm-McGill and Tangeman Funeral Home on Thursday, September 7, 2006 from 2-8 PM. Memorial contributions may be made to the Anna/Botkins Rescue Squad, P.O. Box 201, 203 S. Linden Ave., Anna, Ohio 45302.